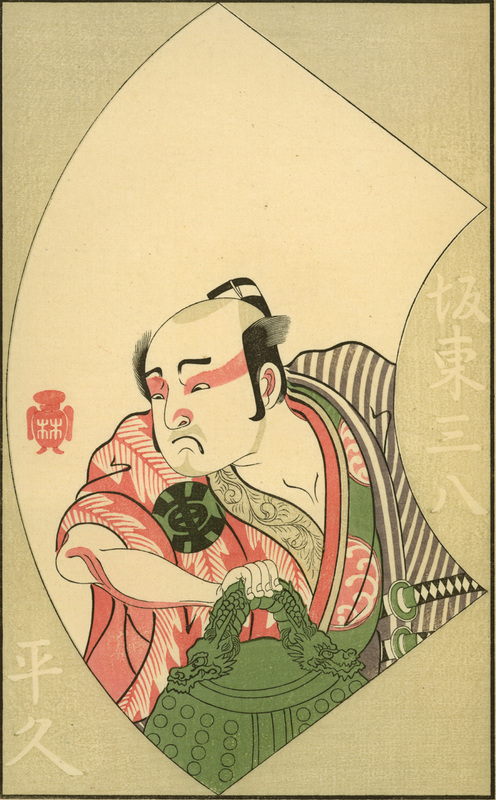 This is an ukiyo-e print of the actor Bando Sampachi I (Heikyu) as Yawata no Saburo published in 1770. The print beared the tsubo seal of the artist Katsukawa Shunsho. Katsukawa Shunsho is the leading artist of the Katsukawa school which specializes in prints of the kabuki actors, sumo wrestlers and bijinga (beautiful women). Shunsho pioneered in realistic portrait of the kabuki actors which contrast with the stylized prints of the Torii school with the individuality of the actor himself identified.